Going through a divorce is rarely an easy process. A marriage is an emotional and financial partnership, so it can be difficult to separate all the pieces. 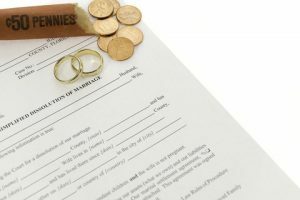 Being prepared is the best way to ease the stress around the financial portion of a divorce. Read on as Liu & Associates highlights a few steps that will help you through this process. Overall, the better you understand your current financial situation, the better position you’ll put yourself in when negotiating a settlement. It’s a good idea to know your credit going into a divorce so you know what you can expect after everything is finalized. There’s nothing worse than trying to start your new life and not being able to get a loan due to poor credit. It’s not uncommon to be held responsible for debts incurred by your spouse, so by knowing your situation ahead of time, you can seek the appropriate help moving forward. It’s a good idea to go over and update your beneficiaries after any life-changing event, divorce included. Make sure you update any retirement plans, insurance policies, estate documents, etc. to reflect your new situation. Failure to remove your ex-spouse as a beneficiary can result in your ex-spouse receiving benefits even though you’re no longer together. After everything is finalized, be sure to let the Canada Revenue Agency (CRA) know. Changes in marital status may affect what tax benefits and credits you are eligible for on your next return. There are many moving parts to deal with in a divorce, so it can be useful to seek the help of a professional. An accountant or financial planner can help you to understand the financial and tax implications of a divorce and can help navigate you through the process. Still have questions? Contact the team at Liu & Associates and book an appointment with a financial planner today.